Stop of whilst you ride the trail. Ride it, walk it, experience it. The Otago Central Rail Trail, which follows the original trail line from Clyde through to Middlemarch, was the first of its kind to be constructed in New Zealand. It stretches 150km and can be cycled, walked or ridden on horseback. Visitors generally like to take their time on the trail, stepping off the track to visit the numerous towns, cafes and historic sites along the way, so if you're cycling, allow at least three days so you can really appreciate what the trail has to offer. And once you're on the trail, you'll see amazing scenery, wide-open valleys and experience peace and solitude while riding over viaducts, through schist and stone tunnels and past high-country stations. The trail is generally flat, so is suitable for most levels of fitness, and there are plenty of places to stop along the way, including 12 red gangers' sheds which provide a wealth of information for that particular part of the trail. 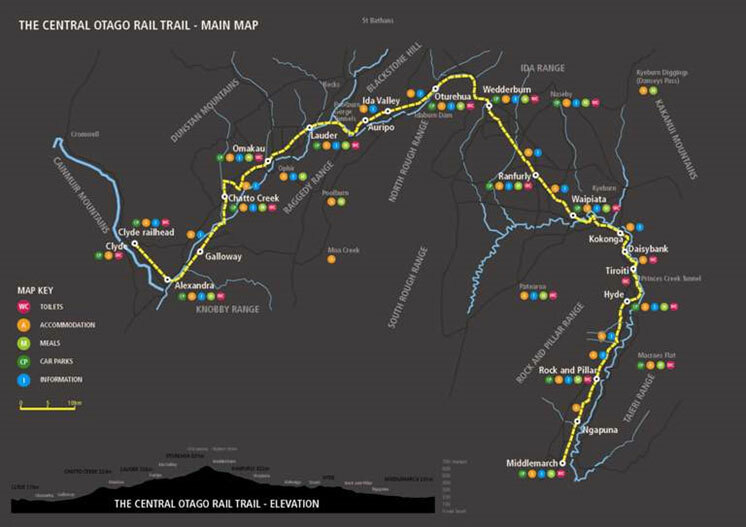 So you can prove to your friends and family that you've completed the entire Rail Trail, you can purchase the official Rail Trail passport which you can stamp along the way at different sites. The Otago Central Rail Trail has been operating since 2000 and attracts thousands of national and international visitors each year to experience its uniqueness that can only be found in Central Otago. 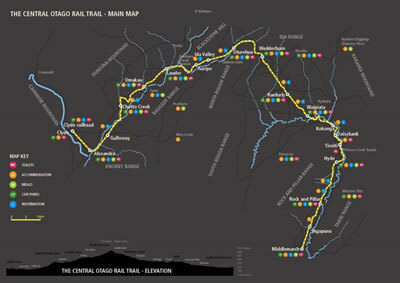 For more information visit The Otago Central RailTrail website.